The legal definition of negligence is, simply put, when someone gets injured or killed because someone else was not careful enough. By law, people have a responsibility to be vigilant and make sure that their behavior is not putting anyone else at risk. Any lapses in this may not only result in injury to another but in being made to repay damages to that other person. However, not many people are aware that there are two kinds of negligence, and the differences between them may affect your options and your rights as the accused or as the injured party. Learn more about the difference between civil negligence and culpable negligence in Florida. To understand the difference between these two types of negligence, one must first understand the difference between the two types of law they respectively fall under. Criminal law is what comes to mind for most people when they think about court cases. Criminal cases only occur when someone is accused of breaking the law. These cases, by their nature, involve the state or federal governments, in addition to any victims. Civil law, on the other hand, does not involve breaking the law. Instead, it encompasses a variety of other matters handled in a court of law, such as breach of contracts, family law, and workers’ compensation. When it comes to the different types of negligence, one can understand them by simply applying the same concepts. Culpable negligence is also known as criminal negligence, and Florida law legally defines it as having “a gross and flagrant character, evincing reckless disregard of human life or the safety of persons exposed to its dangerous effects.” Civil negligence is for situations where someone showed carelessness that proved damaging but did not necessarily break any laws or cause so much harm that it could be criminal. An example of a case that would be considered civil negligence, rather than culpable negligence, is medical malpractice. It is not necessarily illegal for someone to make a mistake – for example, a doctor giving a patient medicine without knowing that said patient is allergic to it. However, if someone makes a mistake that causes extensive damage to a person’s well-being or property, they could still be tried in court for civil negligence. The patient could file a claim against that doctor and receive compensation for the effects of the doctor’s negligence. As simple as they may sound, the differences between civil negligence and culpable negligence in Florida, as well as other subtleties of the law, may prove difficult for laypeople to understand in practice. 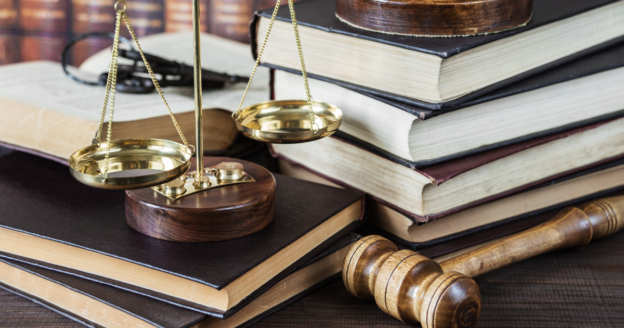 An experienced criminal defense lawyer can not only assist you in navigating the complexities of the legal system but also in fighting for you during your trial. If you or a loved one are facing charges involving civil or culpable negligence, contact the Law Offices of Michael A. Gottlieb at 954-462-1005 and our Broward criminal defense attorneys can start assisting you today.